We’re big fans of the big fridges at the grocery stores with their gallons upon gallons of Haagen-Dazs and Ben & Jerry’s ice cream, but did you know you can whip up your own scrumptious flavours right at home? We know it seems intimidating, but homemade ice cream doesn’t have to be a daunting task as long you are careful to follow the instructions. Worried you don’t even know where to start? 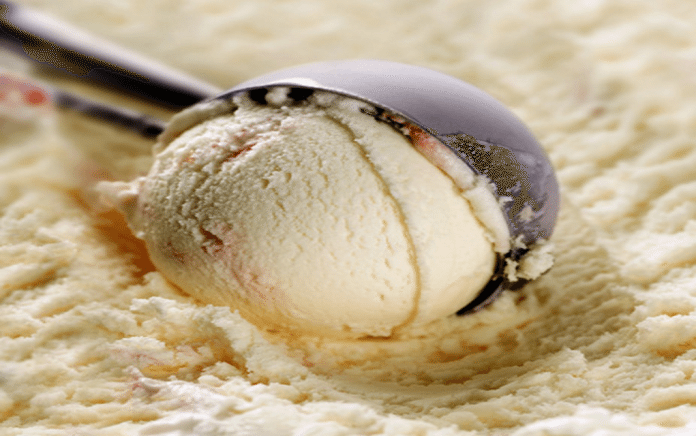 Read our tips on making homemade ice cream to make sure your yummy experiment doesn’t go wrong. A lightly chilled machine is not fine and a 30 minute nap in the freezer won’t do. For an ice cream machine to work properly they have to be ice cold. Like, frozen solid, stick-your-tongue-to-it cold. Make sure you plan ahead to do this properly and chill your machine overnight so that you don’t end up with a big soupy mess of ice cream. Also, make sure your machine is bone dry before filling it. Water on the sides can freeze and halt the motion of the machine. And you need that motion for churning! until it thickens. But beware! Cooking the custard too hot or too quickly will cause the egg to scramble, rather than transform the dairy into a velvety sauce. To prevent this, be sure to keep the heat below the medium point and stir constantly with a rubber spatula. You can test the mixture (which you should, and should often) by coating the back of a spoon with the sauce and then running your finger through it. If the line stays without dripping or running, your custard is done! Looking to make a giant batch of ice cream of ice cream on your first try? Go for it! Don’t get overzealous and fill your machine with too much custard or the mixture will freeze, expand and overfill the container and spill. If you want more, buy a bigger unit or make multiple batches but never fill your machine more than ⅔ full! 4Cut the calories, cut the fat, right? Don’t think you can make a low-fat ice cream by replacing the cream with a milk that has a lower fat content. The only way that will result in low calorie ice cream is because you won’t have any ice cream at all! The only combo that makes for silky, rich ice cream is whole milk mixed with cream. Ice cream is an opportunity to indulge so don’t skimp on the good stuff when making it. If you want low-fat, go buy a frozen yogurt. Also, don’t try to replace the mixture with half and half, as the stabilizers used in it can upset your recipe. When making your ice cream, be sure not to dump everything into the container and walk away. Correct mix-ins are extremely important. Those yummy chunks of fudge or cookie dough should only be folded in once the machine has turned off and make sure your chunks are small enough to eat without chewing! It’s not much of a treat if you crack a tooth on a frozen strawberry.